Feeling valued. Feeling special. Feeling appreciated. Whether it is a tap on the shoulder, an approving nod, a warm smile, we can all use some form of support and appreciation. After all, who does not like praise? Children too need valuation, more particularly parental valuation. Parental valuation is crucial to raise happy, balanced, confident children. But in this era of studies and scientific scrutiny, new research is bringing forth some unexpected results. Praise, so it seems, can backfire; the expectation of a reward can negatively influence performance. In short, the Reward and Praise model is being questioned. Some parents of course overvalue their children, believing them to be more special, more deserving than they actually are. Parental overvaluation is not a crime. Mostly it is a sign of love and heartfelt admiration. Freud saw parental overvaluation as a sign of parents’ narcissism and according to yet another study, narcissistic parents give their children ‘unusual’ names. Ezechiel, Tempest, Cotton, Diamond? Seven? Apple? Sage? Clementine? Tiger Lilly? Olive? 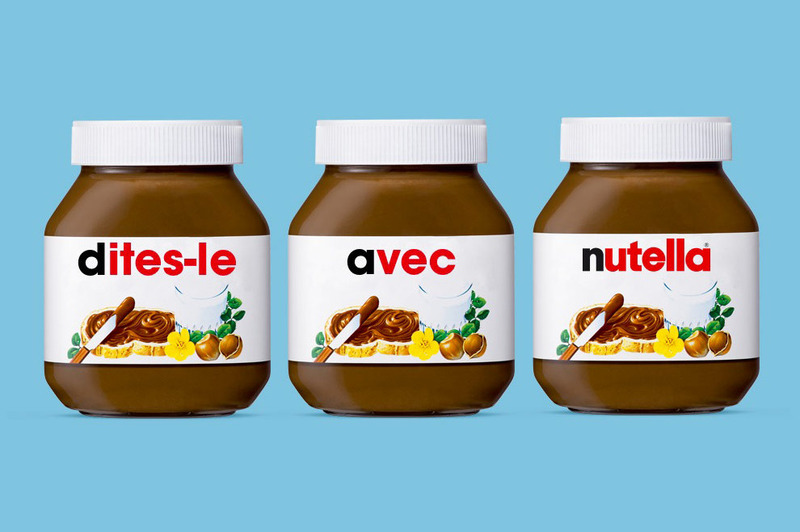 Recently, a French couple wished to call their daughter Nutella. The judge disagreed. Against the child’s interest, it was said. So now the baby is called Ella. Fraise, Strawberry, too has been rejected. But Cerise or Cherry, is accepted. Strange. Although, where do you draw the line? Knorr? Vegemite? Yakult? Drawing the line is a difficult topic. So back to Nutella. Nutella succumbed to the ‘personalization’ craze. Unlike “Share a Coke”, which sold bottles, stamped en masse with random names, Nutella came up with the idea that users could create their own Nutella jar label. This initiative started in 2013. Was it the recent death of Mr. Ferrero? Was it accidental? A joke? Whatever the reason, a sudden media frenzy has occurred. Apparently, you cannot name your Nutella jar ‘Muslim’ or ‘Jew’ or ‘Lesbian’ or a panoply of other words for that matter. It is not clear what is offensive about these words. But what remains even more obscure is, why would anyone wish to call her (gender assumption noted) jar of Nutella ‘Lesbian’? Did she, spreading her morning toast, need reminding? Seemingly we have become so self obsessed that we need to name commercial brand products after ourselves. Then again. Handkerchiefs, shirts, towels and bed linen have for centuries been embroidered with our initials. Porcelain and silverware imprinted with blazons and coats of arms. Names and lovehearts carved in trees. A brass plate on a park bench. A ring with a wedding date. So when Apple disallows certain words and phrases from being engraved on a phone, one can wonder and be surprised. Or one could look at the Apple default dictionary and understand. Those suffering of dyslexia, or of thick fingers, probably already know that for Apple – and others – ficking is forking, fycking is funking, gucking is tucking and fuckling is duckling. Vsgina is begins. Divk is sick. Dicl is duck. Pebis is Levi’s. Pwnis is panic. And for the hard-core ones, … no, there is no c word. With dictionary skills like that, who can blame the Apple engraver? With a vocabulary like that, who wants the engraving? Posted on 6 March 2015 by MrsCalvo	This entry was posted in Popular Culture and Entertainment and tagged Nutella, Parental Overvaluation, Share a Coke. Bookmark the permalink.